Let’s face it, winter dressing can be a little … well, how shall we say? A little DULL. What better way to brighten up your life by adding a little high-shine. 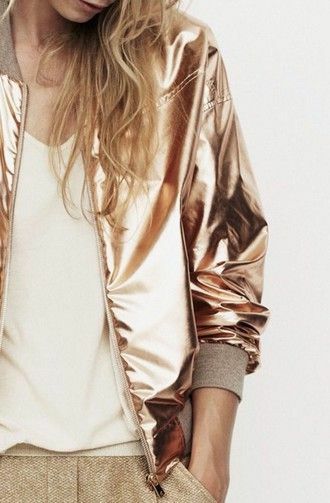 For the last few months, SS16 runways across the globe have all been awash with liquid-metallics in every hue. Heavenly gold pleated skirts, slinky-silver slip dresses and gorgeous metallic brogues ruled. The stores are slowly catching up with the trend and some seriously eye-catching pieces have began dropping into our stores. Go easy though. A little too much shiny and you run the risk of looking like a walking disco-ball. Less is definitely more when it comes to high-shine. To keep the look wearable (and to avoid causing temporary blindness) keep the rest of your outfit simple. Pair that gold pleated skirt with a grey-sweatshirt or a black silk shirt and add sneakers for daytime, heels for night-time (remember this trend is wearable night AND day). 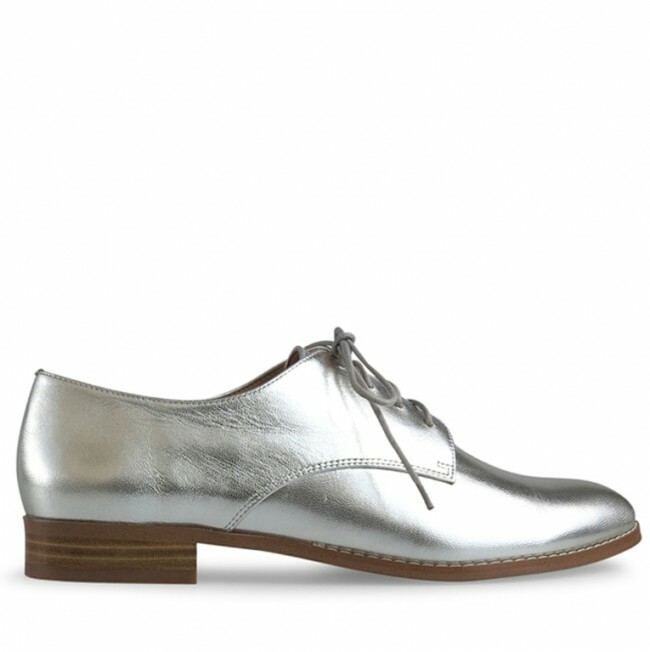 Same goes for the metallic brogues, pair with a simple jeans and t-shirt ensemble. 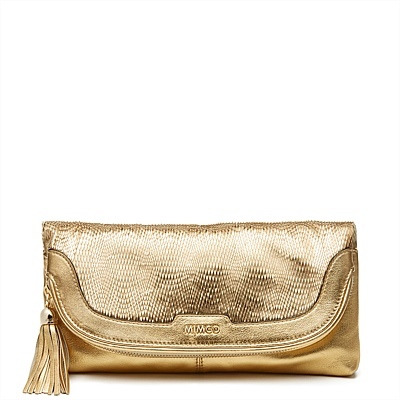 If you just want to dip a toe into the trend, check out the beautiful metallic clutch bags available. Just add to your LBD and instantly update your look. Style tip : metallic is a beautiful addition to spring whites and worn denim. Want some inspiration to get your shine on? 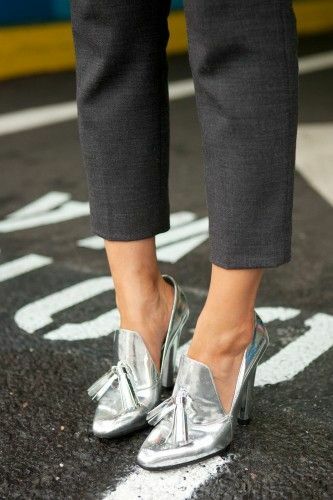 See below for some high-shine street-style. We’d love to hear how you’re rocking this trend – or anything else for that matter.